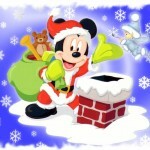 This is a great Walt Disney DVD for Christmas for young children. Not only does it include 22 wonderful holiday songs with the words on the screen, the DVD also includes a “Words of the Season” vocabulary game, a “Very Merry” musical game, and a “Create-a-Card” activity. 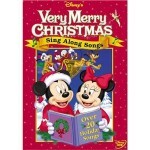 All of the best Christmas and holiday songs can be found on this one DVD, with the words included! 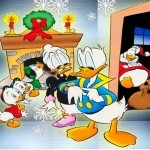 Donald and the boys are waiting for Christmas!